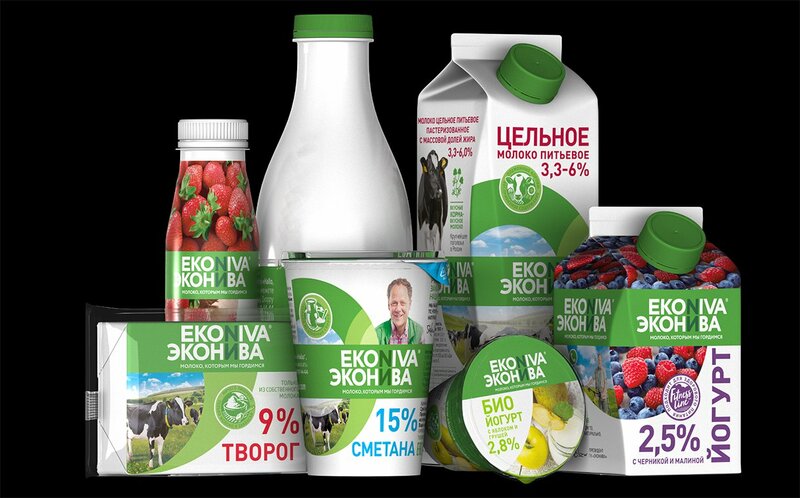 Russian milk producer Ekosem-Agrar has launched its new EkoNiva umbrella brand for dairy products. Introduced exclusively in several Moscow stores of the German retail chain Globus, the range will consist of products such as fresh milk, kefir, sour cream, curd, butter, yogurt and cheese. Ekosem-Agrar production facilities for approximately 600 tonnes of daily processing capacity are currently being optimised to expand the range. The company plans to introduce the line in several other Russian supermarket chains in the coming months. Stefan Dürr, CEO of Ekosem-Agrar, said: “Setting up our own milk processing facilities is the logical next step in our growth strategy. This enables us to guarantee the quality of our products across the entire supply chain, respond more flexibly to price fluctuations in the milk market and tap additional revenue and earnings sources. Under the slogan “EkoNiva – milk of which we are proud”, Ekosem-Agrar said it aims to address the growing number of quality-conscious Russian consumers. Dürr added: “We want to win customers by being authentic and honest. Everyone wishing to know how and where our milk is produced is welcome to visit one of our more than 20 modern dairy cow facilities in Russia at any time.